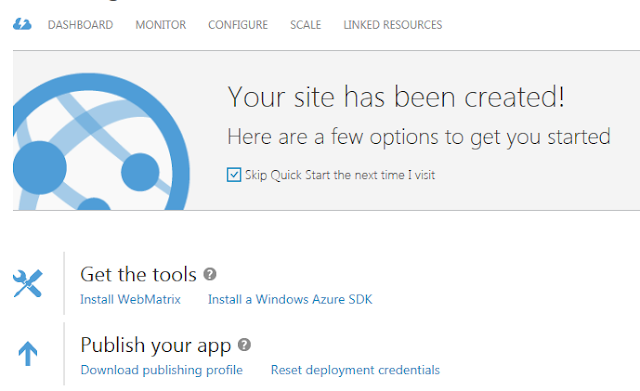 If you have created a web application on WebMatrix and want to host this application on a Windows Azure website, you will need to take a few additional steps to make sure your web application gets deployed to the correct location of your website. 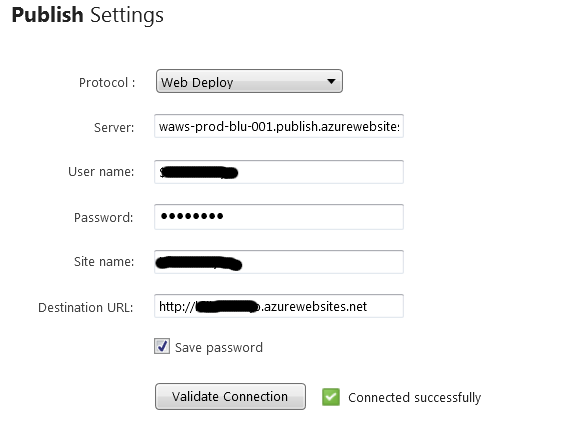 After creating the website on Windows Azure, you will get a page indicating that the site has been created. 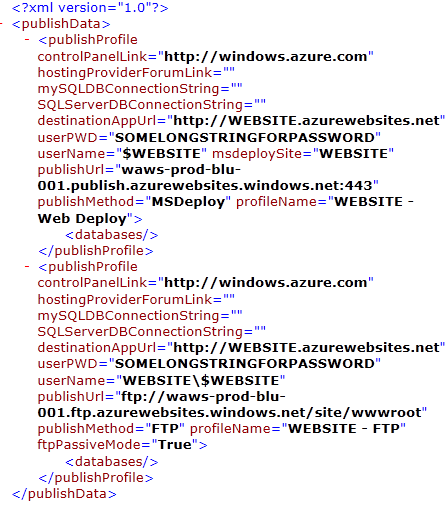 On the XML file, you can see the server settings as well as credentials to let you deploy the files to the correct Azure website. Some of the text you see on the file will match your application settings. 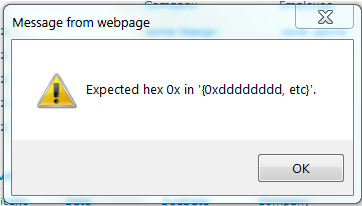 You now need to open your WebMatrix project and import this file. On WebMatrix, click on the Remote tab. Now click on the Settings toolbar button. This opens the project publish settings. The next step is to click on the Import publish settings link and select the file you just downloaded. When it is done, the status should read Complete, and the website URL should be displayed. Click on the URL to view your new website running on Azure. I hope this instructions help your deployment be an easy experience. In this example, we call the @GetMessage function which just reads a URL parameter and based on the parameter, it determines what message to display. Notice how the function call is embedded in the markup. To use it, we must proceed it with the @ character which is use to start inline expressions. To define the function, we use the @functions block directive. In this block we can add functions and properties that can be reused in the page. I would suggest using functions on Web Pages for specific functionality on each page. If you want to build functions for common functionality that can be used in several pages, you should add a separate CSHTML page and make the methods static. If you need to reuse blocks of HTML, Razor helpers should be used instead. Since this change is only done to the custom view, it should not affect your other views/pages. I hope you find this helpful. If the custom rule validation function returns true the update is submitted. If the function returns false, we let the user know that there was a problem, and he/she can then make the necessary corrections.